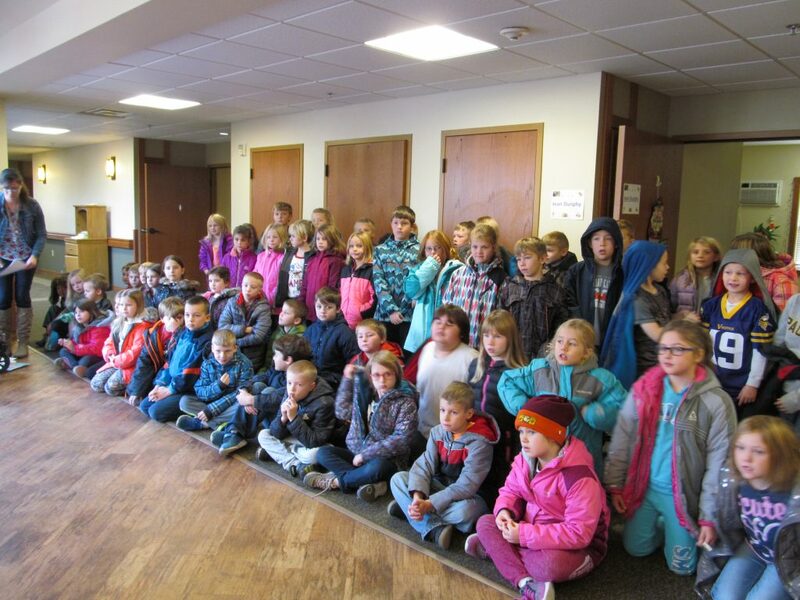 We love having the Olivett Otters 4-H Club visit once a month with their pets! 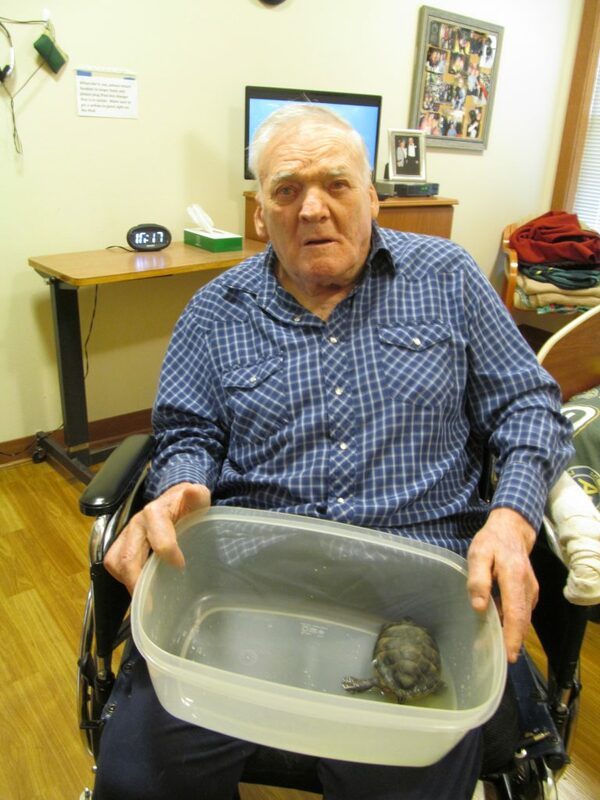 Here is resident Tiny with a turtle – how cool is that?! 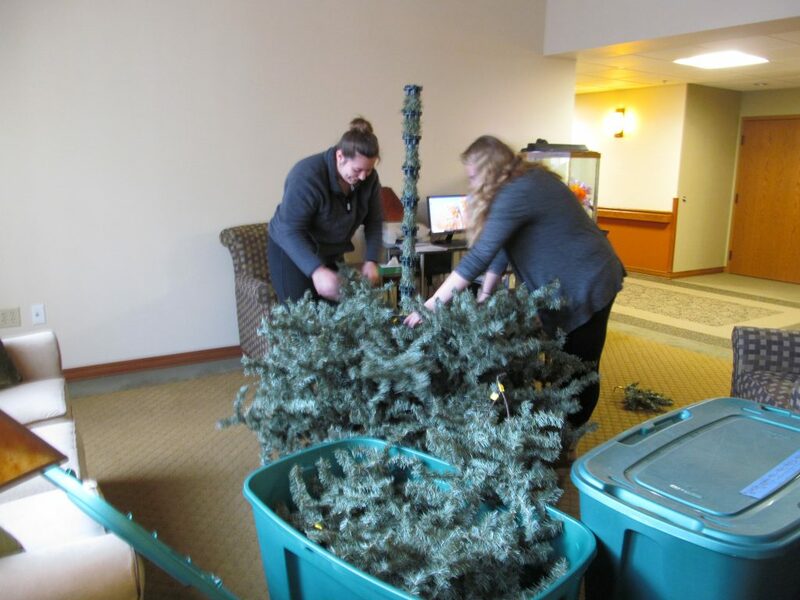 The 2nd graders came and gave out Thanksgiving decorations they made – so generous of them! They also sang a Thanksgiving song. 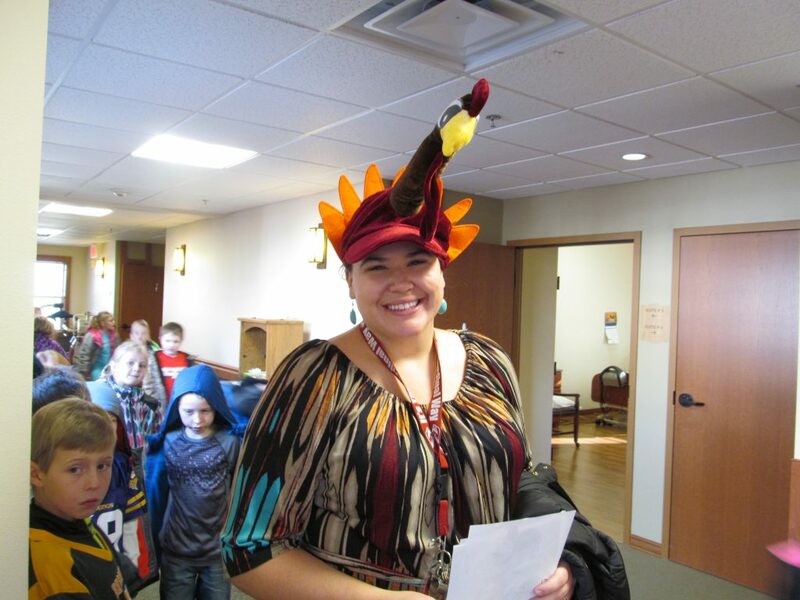 Residents and students alike loved this fun Thanksgiving hat too! 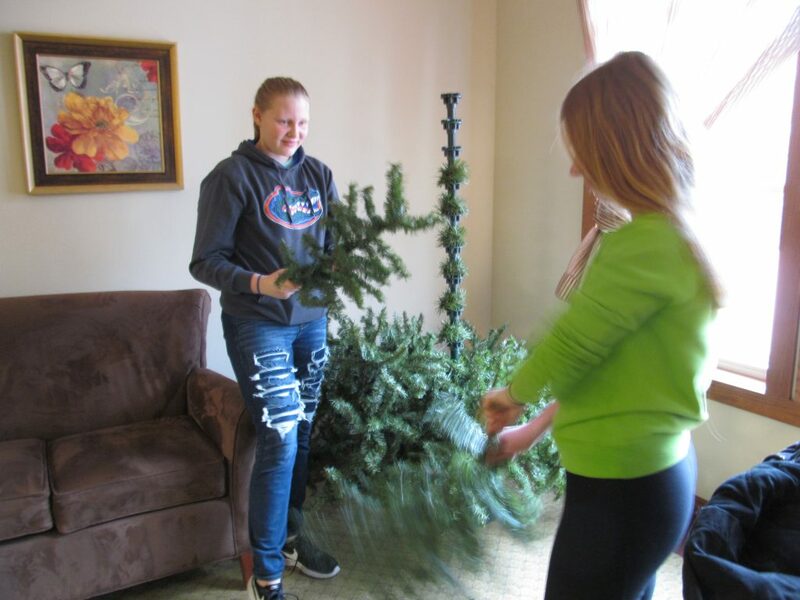 Every year we have the Spring Valley Eagles 4-H group come on the Wednesday before Thanksgiving to put our Neighborhood trees together. They do such a fabulous job putting the lights on. 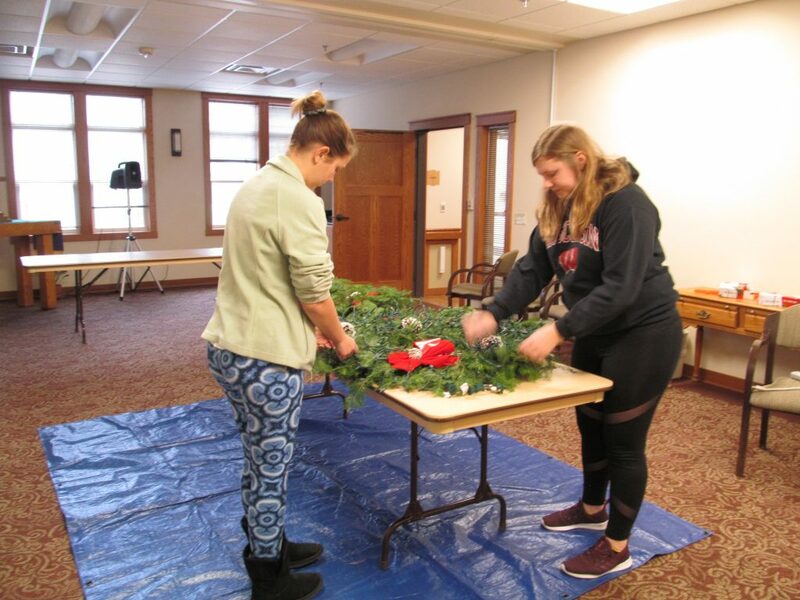 They also put the lights on our two Circle of Love wreaths. Thank you so much Spring Valley Eagles 4-Hers!